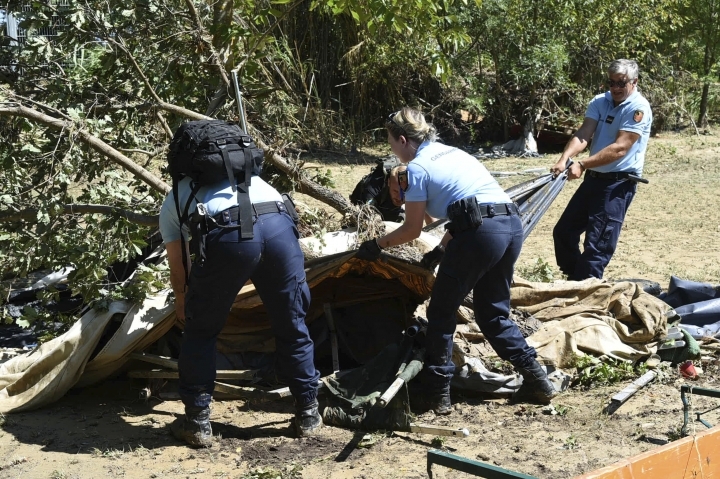 BERLIN — French police detained two officials from a German association that operates a campsite in southern France where flooding danger prompted evacuations and a man was reported missing, a local prosecutor said Friday. The two officials were being questioned "because the campsite was set up in a flood-risk area despite warnings," Maurel said. They are being investigated on allegations of "endangering life of others" and causing "unintentional injuries," he said. 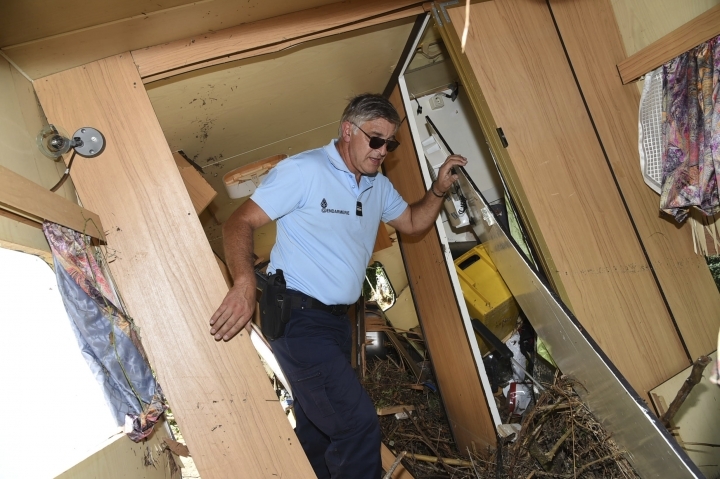 French authorities still were looking for a 67-year-old man, reportedly a German citizen serving as the campsite's monitor, who had not been seen since his van was swept away in the unexpected rush of fast-moving water. The region's chief gendarme, Col. Laurent Haas, told BFM authorities still were "not certain he was actually present" when that happened. 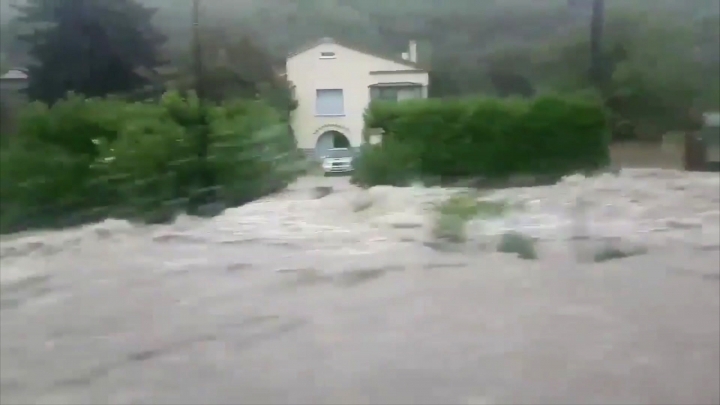 "I've been coming since early 80s, when I was a teenager, and I've never seen anything, anything like it," Tom Bryan, a Briton vacationing in the village of Saint-Andre-de-Roquepertuis, told Sky TV. Extreme weather affected other parts of Europe on Friday following weeks of unusually hot temperatures. 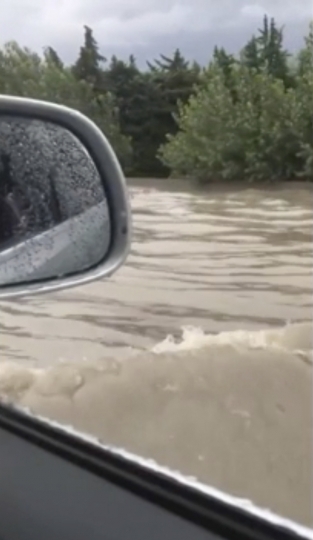 Germany's national railway worked to reopen routes closed the previous night due to storms. Parts of northern Germany saw storms late Thursday and early Friday that brought winds of up to 140 kph (87 mph) to the country's coast. The gusts brought down trees and significantly disrupted public transportation. Germany's railway operator, Deutsche Bahn, closed several train routes Thursday night as the storms approached. Service disruptions continued until Friday afternoon on some routes.